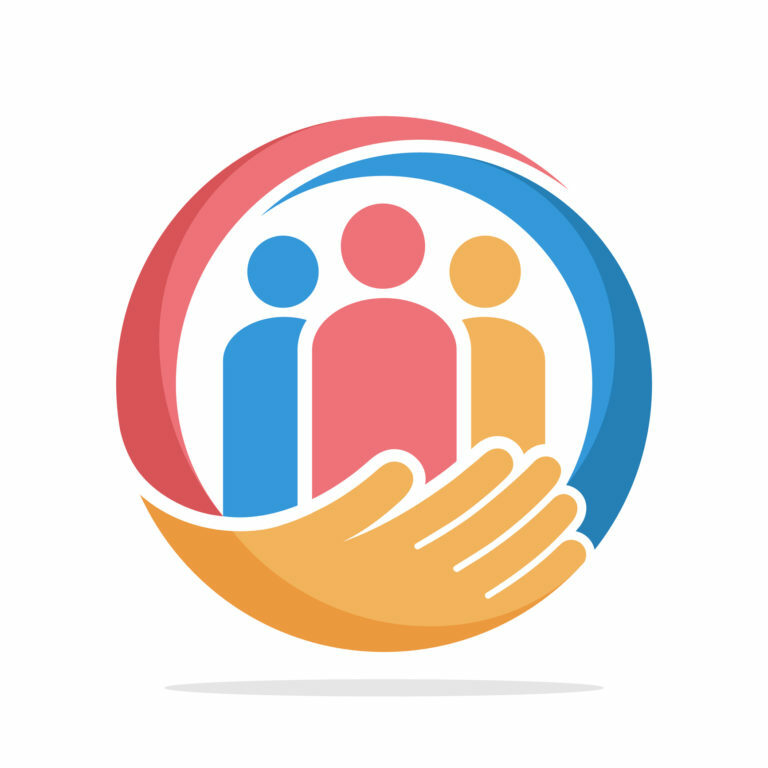 Clinical Impact Statement: This article provides essential information to clinical supervisors and clinical trainees regarding the importance of group supervision, with particular reference to learning self care skills and improving inter-professional collaboration. Specific recommendations are provided regarding the inclusion of self care and inter-professional education in supervision, both to enhance clinical training and ensure that clinicians develop the knowledge and practice needed to undertake effective clinical work after graduation. Whilst the article focuses on clinical psychology specifically, the recommendations could also be applied to other mental health professionals more broadly. Currently in Australia there are over 35,000 registered psychologists. There are multiple pathways to registration as a psychologist within Australia, including a combination of undergraduate Bachelor degree, supervised practice, and/or postgraduate studies. Many students choose to undertake a postgraduate training program within a university setting. Postgraduate training programs include a combination of University-based teaching and clinical placements, which can occur internally or within external agencies or health settings. As defined by Australian Psychology Accreditation Council (APAC, 2018), the key purposes of clinical placements are to: integrate theory into practice, familiarise students with the practice environment, and build the core competencies required for professional practice. At least 1,000 hours of clinical placement experience is required and about an hour of clinical supervision should be provided for every seven hours of placement; hence, clinical supervision is a core component of psychology training. Psychology training programs in Australia are regulated through APAC, with the newest regulations coming into effect from 1 January 2019 (these can be accessed at www.psychologycouncil.org.au). They list standards for both the accredited programs as well as the expectations of graduates from the programs. A number of these standards have direct relevance to the practice of group supervision within training programs, particularly as they relate to the focus of this paper. For example, graduates are expected to demonstrate interpersonal skills and teamwork, demonstrate an understanding of appropriate values and ethics in psychology, and demonstrate self-directed pursuit of scholarly inquiry in psychology. Likewise, the accreditation standards for psychology programs include standards such as inter-professional learning and practice, and self-care skill development (APAC, 2018). There is increasing demand on postgraduate clinical psychology courses due to the growing popularity of psychology as a career pathway. Job Outlook data suggests very strong growth predicted in the next 5 years (Job Outlook, n.d.). Furthermore, there are a limited number of postgraduate courses and places available, meaning that positions in these courses are competitive (Littlefield, 2016). Other constraints include: funding and regulatory challenges, enrolment loads, over-demand for places (creating a “bottleneck” from undergraduate to postgraduate programs), difficulty in sourcing external placements, a gap between costs of running the course and the government funding supplied to universities (hence undergraduate enrolments subsidize the postgraduate professional programs, or programs run at a loss) (Littlefield, 2016). Moreover, those who complete a clinical psychology training program are likely to experience significant stress during and after graduation. Recent statistics suggest that there are high levels of exits from the psychology workforce in Australia (Littlefield, 2016). An Australian study found that early-career psychologists were stressed by the transition from student to professional and reported they would benefit from ongoing mentoring and access to support from more experienced psychologists (Rice, Murray, Kazan, & Felman, 2016). Similarly, Knoetze and McCulloch (2017) reviewed the experiences of new psychology graduates in South Africa. Although they identified a positive view of the profession and a sense of a learning community, they also reported concerns about work overloading and a commitment to high standards, which created some distress. These findings are consistent with research identifying that psychologists are vulnerable to mental health difficulties, due to personal vulnerabilities, distress associated with clinical practice, and a (ill) perceived sense of invulnerability to stress (Barnett & Cooper, 2009). Bettney (2017) reviewed self-care practices taught during clinical psychology training in the United Kingdom, and found that a number of factors contribute to burnout in trainees, including competing demands (of coursework, research, and clinical practice), performance anxiety, and peer competition. These findings occur in spite of a recent U.S.-based review that reported that most training programs incorporate self-care into the curriculum (Vally, 2018). Taken together, it appears that clinical psychology trainees and graduates are vulnerable to stress regardless of geographical location. Group supervision provides an opportunity for clinical psychology trainees to reflect on their clinical development in a forum that to some extent mimics the complexity of “real life” clinical decision-making (Fisher, Chew, & Leow, 2015). Group supervision is most effective when core processes of reflection, information exchange, scaffolding, modeling, and a strong supervisory alliance exist (Goodyear, 2014; Johnston & Milne, 2012). An important outcome is for trainees to develop an “internal supervisor” and engage in a process of lifelong learning (Fisher et al., 2015; Woodward, Keville, & Conlan, 2015). Within group supervision, the supervisory alliance is necessary but it is insufficient for learning; rather it mediates the processes of information exchange, scaffolding, modeling, and reflective practice. At different “developmental stages” of training, these processes may be less pronounced; for example, reflective practice is likely to be more evident as trainees are more experienced, whereas in early stages information exchange may be more paramount (Goodyear, 2014; Johnston & Milne, 2012). Goodyear (2014) identified that the ability to engage in reflective practice is impacted by the provision of knowledge about the content and process of reflection, suggesting that explicit instruction in reflective practice can be helpful, especially early in the practice of group supervision. Recent data shows that a majority of medical patients are presenting with mental health issues (The Royal Australia College of General Practitioners, 2018). Therefore, it is timely to consider the possibility of a more integrated approach to mental health care, and more specifically, the involvement of clinical psychology trainees within an integrated model (Cubic, Mance & Turgensen, 2012; Linton, 2017; Smith et al., 2015). Inter-professional education (IPE) provides opportunities for learning about practices of other professions; for example, their discipline-specific expertise, scope of practice, and what they can contribute to patient care. It involves learning effective communication strategies, including common language, problem solving, conflict resolution, and teamwork (Cubic et al., 2012). IPE can involve a wide range of learning methods (small group, role play, simulations, video/audio) and has the potential to develop a wide skill set through the use of an integrated curriculum (Bradley & Postlethwaite, 2003; Pauzé & Reeves, 2010). Hence, it has many advantages that are particularly relevant to post-graduate clinical psychology training and group supervision in particular. This includes self-directed learning and integration of theory into practice (Bradley & Postlethwaite, 2003). However, while a number of studies have advocated for, and examined the use of IPE in psychology training, there is a lack of specific evaluation of the impact of IPE on collaborative practice and client outcomes (Linton, 2017). Pauzé and Reeves (2010) wrote a systematic review of the effectiveness of IPE in mental health settings nearly 10 years ago. They identified 14 papers that met criteria to be included in their review. A key conclusion was that the research is limited by flawed methodology. For example, they suggested that including client outcomes in future research and evaluations was important. However, themes from the papers reviewed suggest that some learning outcomes may be specific to (or enhanced by) IPE, including: improved collaboration, team functioning, and decision making. 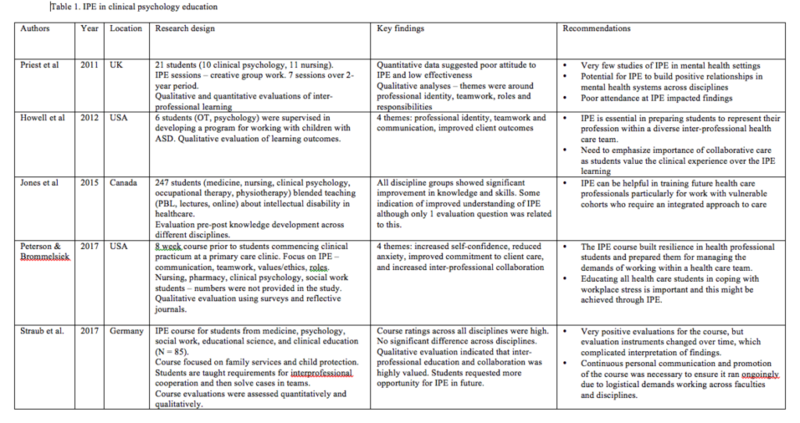 An examination of papers that evaluated the practice of IPE in clinical psychology training was undertaken to further expand on the Pauzé and Reeves review. Papers were included in the current paper if they included the following criteria: published within the past 15 years; in the English language; the study examined clinical psychology trainees; the study included a group teaching program; the study included an evaluation of the impact of the training program. Five papers were identified that met these criteria. Table 1 summarizes these findings. Four of the five papers reviewed reported positive findings from their IPE program. In contrast, Priest et al. (2011) reported that their IPE program, which involved nursing and psychology students, was received negatively and did not achieve the desired outcomes in improved collaborative practice. This may be because they met only seven times over a two-year period, and there was poor attendance across the timespan of the program, which impacted negatively on attitudes over time. Peterson and Brommelsiek (2017) reported increased self-efficacy and persistence in providing client care as a result of engaging in IPE among a diverse cohort of health professional trainees. Specific to IPE, they reported both an improved understanding of other professionals’ roles as well as their own discipline specific role. Based on their findings, they recommended that IPE is a good forum through with to work on self-care skills and development (Peterson & Brommelsiek, 2017). Straub, Krüger, and Bode (2017) developed a course for a diverse range of disciplines, with a focus on child protection and family services. They reported positive findings, with high course ratings from all students involved and no significant differences across disciplines. 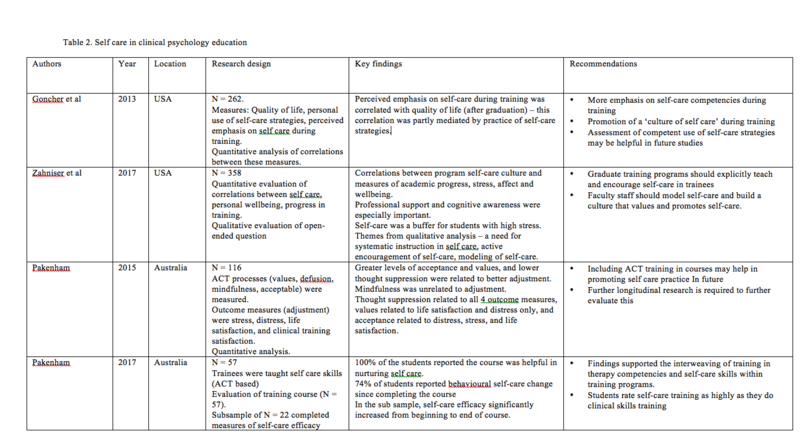 Qualitative evaluation showed that students rated the interprofessional aspects of the course highly. However, they reported that the logistics of running a course across diverse faculties was time-consuming and challenging, particularly with regard to staffing and timetabling. Jones, McQueen, Lowe, Minnes, and Rischke (2015) evaluated an inter-professional education model in working with clients with intellectual disability. They included online learning, lectures, problem-based learning, and client interviews with health professionals from different faculties. 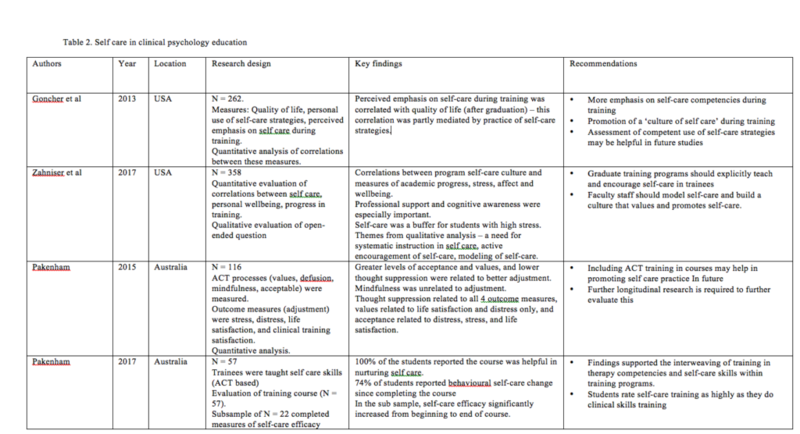 They reviewed the impact of IPE on learning outcomes and found that communication, client-centered care, role clarification, and team functioning were all improved post-curriculum (compared to pre-curriculum). Thus, the IPE improved understanding of the course content (on client-centered care), as well as skills in working with other professionals. Similarly, Howell, Wittman, and Bundy (2012) involved occupational therapy and psychology students in developing social skills programs for children with Autism Spectrum Disorder. They found four themes regarding the impact on educational outcomes for the trainees involved: professional identity, professional differences, communication, and client outcomes. Moreover, trainees reported benefits in making theory-practice connections. However, client outcomes were not reported in either study. In summary, most of the studies exploring the use of IPE in clinical psychology training have reported positive findings in relation to the impact on professional identity development and teamwork. However, most studies have not used comparison groups, and outcome measures have been inconsistent. Therefore, it is difficult to make robust findings as to the effectiveness of IPE. To this end, Schwindt and colleagues (2017) have developed an instrument to measure IPE and its impact on collaborative practice, which might be used in future studies. Their instrument identified a two-factor model: perceived ability to provide interdisciplinary care, and perceived ability to work as part of an inter-professional team. Of the five studies identified that met inclusion criteria, none investigated client outcomes in addition to the student learning outcomes. Furthermore, studies have tended to focus on a specific client cohort to investigate IPE, rather than practicing IPE broadly across the mental health or primary health care system. Given the stress associated with clinical psychology training, as well as the ongoing risk of burnout linked to psychological practice, engagement in self-care is integral for practicing psychologists. Furthermore, the integration of learning therapy for personal and clinical application is likely to maximize practice of the competencies as well as lead to improved client and personal outcomes (Pakenham, 2015). Group supervision is an ideal forum through which to develop self-care skills, particularly through the use of reflective practice. Norcross published a seminal guide to therapist self-care over 10 years ago, and this has recently been updated, based on the latest research (Norcross & VandenBos, 2018). The authors identify 12 key areas of self-care, including: valuing personal development; focusing on the rewards of therapeutic work; understanding warning signs and triggers; looking after relationships, the body, and the mind; boundary setting; personal therapy; mindfulness practice; and fostering personal growth and development. An examination of the literature relating to self-care specifically in clinical psychology training programs found little empirical research in this area. Some studies have explored specific self-care training programs, while others have focused on the role of self-care in mediating stress after graduation. Four papers that met the criteria (as outlined above) are summarized in Table 2. Two studies explored the role of perceived emphasis on self-care within the training program, and found that having an emphasis on self-care tended to mediate use of these skills after graduation (Goncher, Sherman, Barnett, & Haskins, 2013; Zahnisher, Rupert, & Dorociak 2017). Engagement with self-care strategies also related to higher wellbeing and life satisfaction after graduation (Goncher et al., 2013). Zahnisher et al. (2017) also found that self-care was identified as a buffer against the stress associated with training. Two key self-care methods were identified in their study: professional support and self-awareness, both highly relevant to the practice of group supervision. 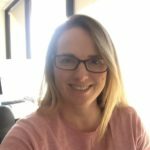 An Australian study has investigated the specific use of a therapy-based framework in fostering self-care in clinical psychology trainees, based on Acceptance and Commitment Therapy (ACT) principles. Pakenham (2015, 2017) incorporated training and workshops on ACT, which included didactic instruction, experiential exercises, demonstration, roleplays, and self-reflection. Pakenham (2015) found that greater acceptance and connection with values, as well as lower thought suppression, was associated with better adjustment to the stress of training. Furthermore, feedback from trainees indicated that self-care workshops were helpful in nurturing self-care, and about three-quarters of trainees reported at least one behavioural self care change as a result of their participation (Pakenham, 2017). Importantly, trainees indicated that they valued the training in self-care practices as highly as they did their clinical skills training. All of these studies recommended that explicit training in self-care be provided to trainees, as well as the active promotion of a culture that values self-care. This would likely improve distress management in trainees, with the likely outcome of reducing professional burnout in future (Goncher et al., 2013; Zahnisher et al., 2017). Importantly, although all trainees are exposed to self care during training (either explicitly or implicitly), not all utilize this during training and after graduation; hence, further exploration regarding the barriers to engaging in self-care is recommended (Goncher et al., 2013). In summary, the research into self-care training is positive and suggests that it improves future wellbeing as well as assisting clinical psychology trainees with the management of the stress of their training. This has important implications for burnout and lifelong self-care practices. However, studies are limited by the lack of research into the impact of self-care practice on client outcomes. Furthermore, longitudinal data is required to further assess the impact on future professional burnout and wellbeing. Psychology as a discipline is a growth industry and there is increasing pressure on universities to provide an extensive curriculum and training in many diverse aspects of psychological practice. Psychologists face significant stress in their work settings, and the importance of training in and the practice of self-care and interprofessional education should not continue to be understated. These two areas of clinical practice should be explicitly emphasized and can develop through group supervision, which is an ideal modality through which to support development of these skills. Training courses should focus on self-care as a key area of curriculum and would benefit from a multi-faceted approach, including explicit instruction, practice, reflection, and modeling during group supervision. This might include using measures of supervision to ensure ongoing feedback and reflective practice (e.g., using the Leeds Alliance in Supervision scale; Wainwright, 2010). Training courses would benefit from regular inter-professional education embedded within the curriculum, through explicit instruction as well as inter-professional group supervision experiences, in order to provide practice and modeling of, and reflection upon, these skills. Potentially self-care skills could be practiced within IPE group supervision. Training programs should formalize assessment of skill development in self-care and inter-professional communication. This might include rubrics that are developed for group supervision participation. Finally, given that studies have tended to rely on qualitative data, researchers are encouraged to incorporate empirical research utilizing quantitative outcomes in the future, so that the costs and benefits of group supervision focusing on self-care or IPE (or both) can be better understood. Turner, M. (2019). Who am I? Inter-professional and self-care education in clinical psychology training. Psychotherapy Bulletin, 54(1), 5-14. Bradley, P., & Postlethwaite, K. (2003). Setting up a clinical skills learning facility. Littlefield, L. (2016). Psychology education and training: A future model. InPsych, 38(2), 8-18. Norcross, J. C., & VandenBos, G. R. (2018). Leaving it at the office: A guide to psychotherapist self-care (2nd ed.). New York, NY: Guildford Press. Rice, S., Murray, K., Kazan, K., & Felman, A. (2016). Outcomes of the 2016 APS early career member survey: Identifying support and development needs. InPsych, 38(6), 34-35.